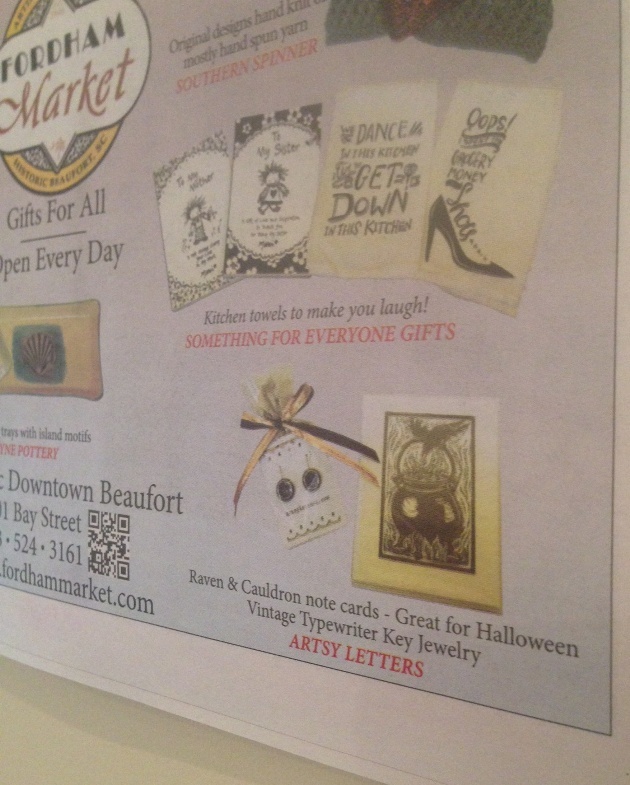 My shop is one of the featured ones this week in Fordham Market’s LOWCOUNTRY WEEKLY ad. Inside back cover, bottom corner! 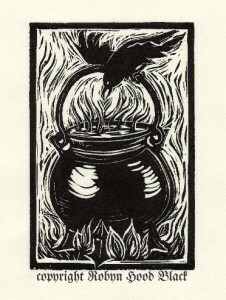 Here’s a better pic of the featured cards – that Raven & Cauldron design does work for this time of year. These are available in my Etsy shop here. I’m on the mend enough to be spending lots of time in the studio – :0) – so I’ll share new items soon! I’ll be adding fun artsy creations from now through the holidays, so thanks for checking in. 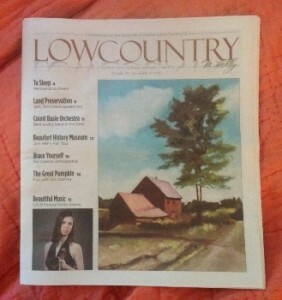 I’m also looking forward to opening my studio doors for FIRST FRIDAY in November and December in downtown Beaufort.